Welcome to the Mythkeeper guide for the custom asset creators! PLEASE KEEP IN MIND that this guide is for custom ASSETS only; Mythkeeper DOES NOT support custom themes yet. These will work ONLY for assets that normally go strictly into the "assets" directory! Mythkeeper (further mentioned as MK) is a fairly versatile software when it comes to processing your packed assets. This means there 3 ways you can pack your assets to make them compatible, however one of the methods is preferred. In the same spirit; you can choose how much information you will pack with your asset to display to the user. 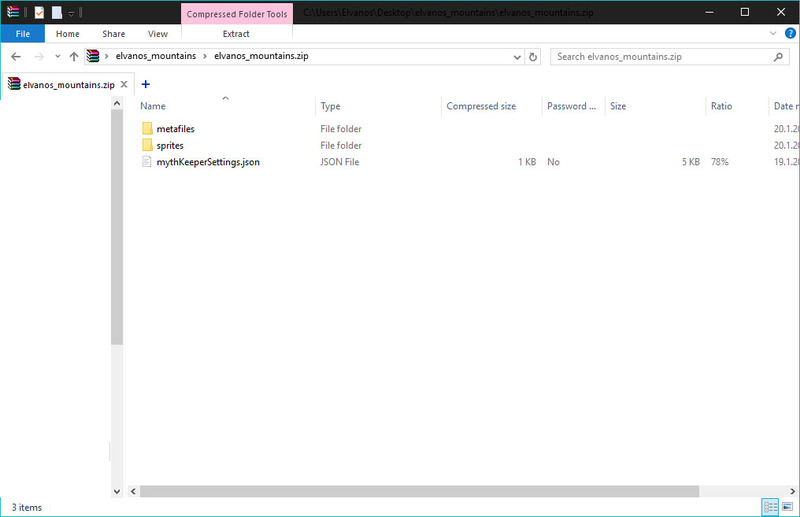 Mythkeeper can handle ONLY .zip file formats. DO NOT use .rar, .tar or any similar. "Nexoness - Avoro, Gates of hell additions"
Naming your low-level folder in a similar manner as the top folder. Packing your whole asset along with the top level directory of it inside a ZIP archive. The example folder structure in the following picture if one of the compatible assets with the correct folder structure. We DO NOT suggest this method, it is dangerous and can lead to unforeseen consequences when unpacking! If your asset is packed this way, we HEAVILY suggest adding the top level directory to make it more stable! Packaging the asset contents without a top-level directory. 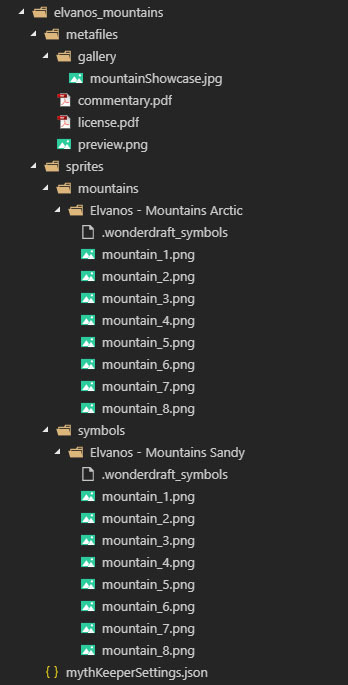 Packing your whole asset inside another assets folder in order to be extracted directly to Wonderdraft main user data folder. This way might be familiar mostly to theme makers as themes go into multiple directories. If you pack your asset this way, please keep in mind that MK will ONLY unpack the FIRST directory it finds inside the assets folder and will delete all non-directory files. If you pack any licenses, install notes or anything of such kind next to the folder, it will get lost along the way! !! !PLEASE NOTE THAT DIFFERENT AUTOMATIC LICENSE LINKS WILL BE ADDED TO MK IN THE NEAR FUTURE!!! Right now the user will get sent to Google in most cases with a search for the license you specify unless you decide to include a local copy of it in your metadata. You can name your asset in any way you want it displayed in the manager. If you do not fill this, it will just show as the directory name. You may include your author name, so the user knows who made the asset and allow your name to be filtered later on once the functionality is added. You may include any contact info in the metafile. Website, email, all goes. If you are a distributor of assets you didn't make, worry not! MK allows you to fill a separate name and contact in for BOTH you AND the author so both of your contacts will show independently. You may include the license link or a file in your pack along with information if your asset can be used commercially. Alternatively, you can pack a demo version of it and include a link where the user can buy the full version of your asset or a commercial license. In case using your assets has some additional requirements or you don't want to you just want to include a commentary - you can! 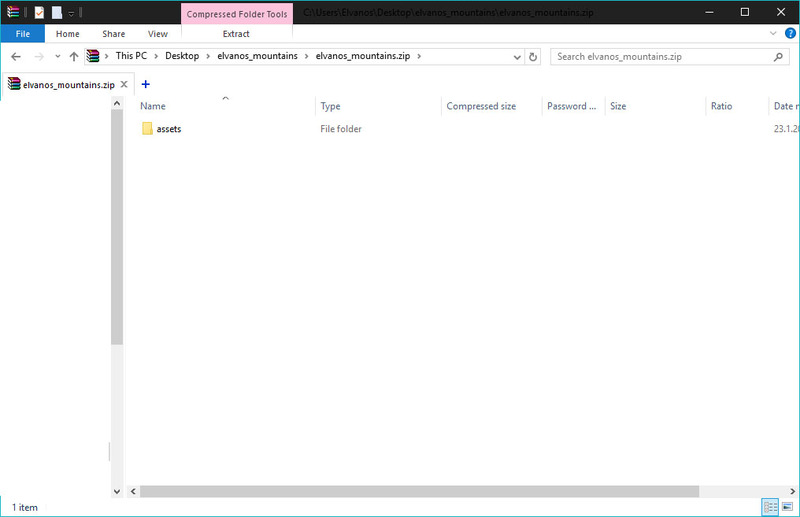 You can pack a separate small TXT or PDF file on top of the license. You may include a preview image of your asset that will show the user what to roughly expect. You may include a whole gallery of preview images for advanced preview if you want to show a real-world usage of your asset in action! You may include both short and long description of your asset along with tags, so your asset is easy to find once a filter function has been added to MK. If you are having trouble navigating the code, we suggest using VSCode free text editor for editing.